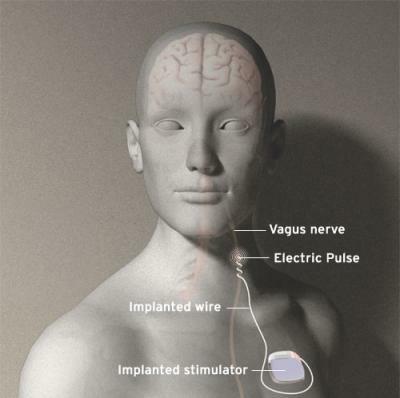 Nuanced comment in this blog about Vagus nerve stimulation (VNS). As it states the FDA has approved this treatment 2 years ago. It is mostly used with pharamcotherapy- and ECT resistant depressed patients. Since recently the treatment is not covered as a treatment for Medicare recipients since may this year. The effectiveness of this treatment is not clear, we need some good research but the trouble is how can you design a trial with a control or even a placebo condition?